Like the TV series, ‘Cheers’, for those of you who remember, ‘where everyone knows your name’, this constantly helpful, bubbly proprietor who readily welcomes you by name, once she knows it; as opposed to you being, just another customer intrigued me. I had to know more about this atypical businesswoman named Connie, so I decided to ask. 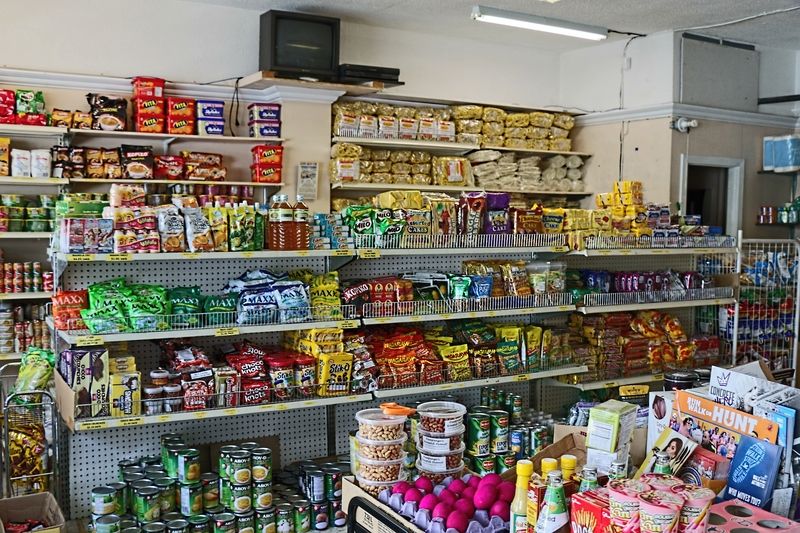 With an almost musical laugh and a twinkle in her eye, she reminisced of growing up in a rice store, which also served as home and where her parents still reside and maintain the store to date. It was a two-story building she explained, with the store on the main floor and living accommodations on the second level. However, she pointed out, unlike here (in Canada) there was no furniture due to affordability factors. She recalls how beds, the family couch and even the table and chairs were sacks of rice, which, as she pointed out, were very comfortable based on the fact you were able to shape them to fit your body contours. Living in such a manner, she explained, taught her at an early age to appreciate having your own business as it enabled you to sustain a livelihood to care for you and your family. More so when compared to North American standards, for in the Philippines there is no welfare or unemployment insurance or even a retirement pension option, you survive solely on what you can generate for an income. Because of this and the inability of many individuals to find work in their home country, many individuals (called OFW’s = Overseas Filipino Workers) have no other option but to leave spouses and children behind to seek a livelihood elsewhere in the world. In doing so, it enables them to provide their families the basics: food, shelter, and clothing and where possible an education and medical needs. Most times they work in extremely abusive circumstances depending on the employer and the country, they work in for which they are under contract for up to two or three years at a time and often with long hours and no days off. It is that or imminent starvation for both them and their family. Those fortunate enough to open their own business or able to obtain an education and skills for a specialized trade stay, if they can. Education in the Philippines is not free, meaning unless you or your family can pay for an education you do not obtain one because the Government does not provide any form of assistance for the public schools. Cash is king and schools will not allow you to register or even proceed into each new semester once you have enrolled unless the required fess have been paid. The same rules apply when writing your exams, which are an additional fee per exam, is the norm. After graduation, she applied and worked on a cruise ship as an activity staff member, a position she held for three-(3) years after which time she tired of the constant travel and returned home to the Philippines. “I really enjoyed the job”, she informed me based on not only the flexible hours but also the fact she had to talk to people. “I am a people person”, she commented. “That”, she continued, “is what I feel was my strong point when I eventually opened my own business in Canada, the love of talking to people”. Now married with two children, a son and daughter, she explained she and her husband met, courted and married in the Philippines. Her eldest child, Chloe, was born a year after her arrival in Canada. “Courting in the Philippines”, she commented, “unlike in Canada, is not that long.” Soon after they were married, her then husband made the decision to re-locate to Canada for which he would sponsor her once he was established. “When we separated”, she reminisced with a sad tone in her voice, “We really did not know each other as we had not been married that long”. “Unlike in a normal relationship where you court, get married and live together”, she continued, “You are with each other each day after day and get to know each others likes and dislikes and learn the truth about each other.” “Long distance does not allow for that,” she stated. Not being, as she put it, the jealous type and having faith that they would one day be together again for good helped make the year bearable. That and the telephone and Skype communications to each other. “Trust was the number one factor”, she stated. During the temporary separation, she stayed with her parents and helped with the store to help time pass more quickly. 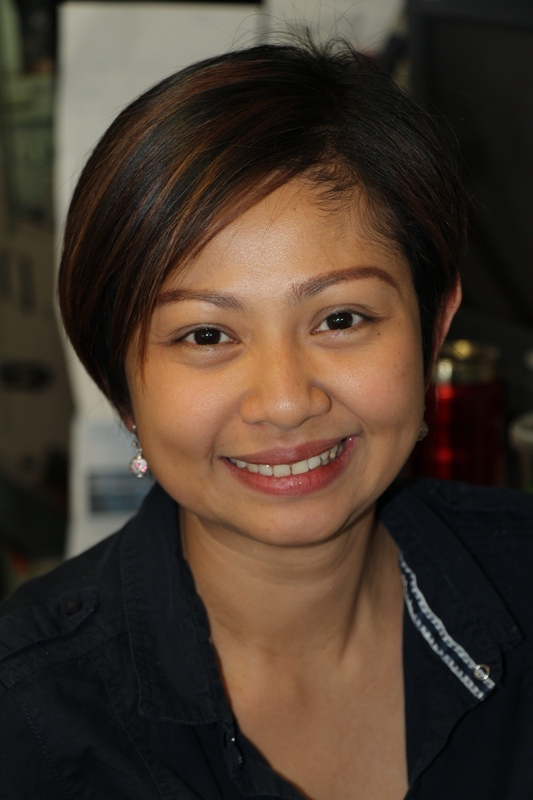 “Life in the Philippines for me was very different, “she explained. She had her own job, her own income, which for a girl made life easy, as she put it. When asked if she ever contemplated returning to the Philippines when she retired, as an example, her reply was a resounding, “NO! Absolutely NO!” “I would go back to visit only” she continues, “my children were born in Canada and would, I am sure, appreciate a vacation there, but not to live”. She then laughs with a twinkle in her eye as she commented, “I was raised there (the Philippines) but I think of myself as a Canadian now”. Asked why she chose Manila BBQ as her choice of employment she said, “While I had no knowledge of the remittance end of the business, I did have a retail background living and working in my parents’ small grocery store in the Philippines”. “Remittance” she stated, “is not easy to deal with as you inform customers what they have to expect, good or bad”. “Remittance is about trust”, she continued, “Not an easy sell”. “It is easy to have this kind of business in the Philippines”, she commented, “Just fulfill government requirements”. “It is much easier dealing with government requirements here in Canada”, she stated. It has been four-(4) years since she took over proprietorship of Manila BBQ and as she informed me, “Every day I am still learning”. “Each day is different people and different problems, it is a lot of work running a money remittance and grocery store.” She continues, “But I never contemplate giving up”. As she explained, “The disadvantages are not being able to shut the business out of your mind at the end of the day”. “However, the advantages are being you own boss”. When asked if knowing what she does now would she still take over ownership of the Manila BBQ, she replied, “I worked at ICBC for three-(3) years then stayed at home for one-(1) year with only the walls and the kids to talk too. Manila BBQ gives me the opportunity to be there for my children while allowing me adult interaction so my answer is, YES!” “Each day”, she continued, “is interesting, with new challenges and the daily interaction of my clients who keep coming back, something I missed from when I was in sales prior and always wanted”. Because of her love of interacting with people, she noted that she would love to once again work on the cruise ships but as she is now married with children that is no longer an option. “If it was not for Manila BBQ”, she commented, “I would love to work at Canada Place to greet the visitors from the cruise ships or the Airport at one of the Airline check in/departure terminals”. Asked why, “I love talking to people”, was her instantaneous reply. 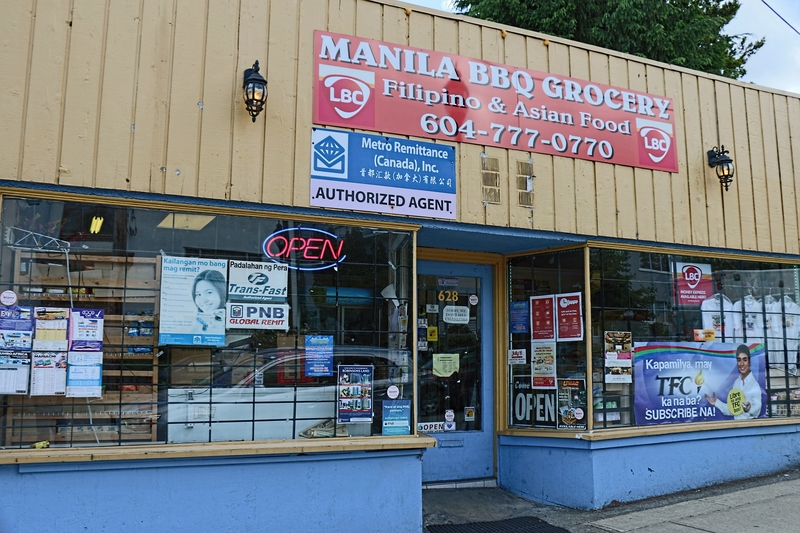 When asked about how she marketed Manila BBQ, without hesitation she exclaimed, “Word of mouth!” “Ninety-(90) percent of my customer base is Filipino,” she continued, “with the remainder from other nationalities who come mainly for the food”. “I do have a web site but still, word of mouth serves me the best”, she stated. “More so since New Westminster has a large Filipino working class community who desire not only affordable living space but the shopping convenience as well as the local transportation system that makes it easy to get around”, she advised me. “But,” she stated, “my customer base is not just regulated to New Westminster, I also have customers from South Burnaby, Coquitlam and even a few from Vancouver which keeps me very busy”. During the interview I observed, which I was informed, one of her customers assisting in managing the store for which Connie never hesitated to patiently guide her when she had questions. She (Connie) informed me the assistant was a longtime customer who was temporarily laid off so she (Connie) hired her just to help her out until she was able to return to her regular job. I also noted that whenever a customer came into the store with their children Connie again would give not only the customer, but the children as well her undivided attention as she communicated with each by name. Having known Connie for about two years now as a customer via my wife who is also Filipino I now call her Kapatid (meaning sister in Tagalog) because she makes me feel like family when I am there. Despite the latter, I did not really know that much about her personal life, until now. In conclusion, I came away with not only an even greater respect for not only Connie the businesswoman, but Connie the person For truly she has created a business where your shopping experience and money remittance needs are taken to new heights. Connie, once she knows your name and, or your face and even if she does not yet know you and your name, greets you with a cheery hello and a smile and I like to think inwardly that, she is welcoming you home. *Quezon City, Philippines is the sister city to New Westminster, BC Canada.